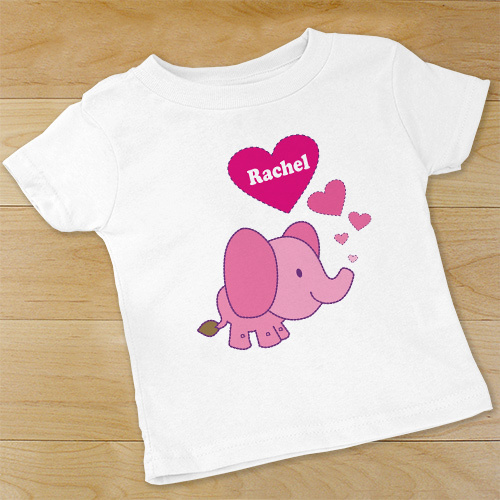 Your precious little baby girl or boy will look adorable in this beautifully Personalized Baby Elephant bodysuit. A fun, personalized gift perfect for a new born or toddler to enjoy and for parents and grandparents to admire. 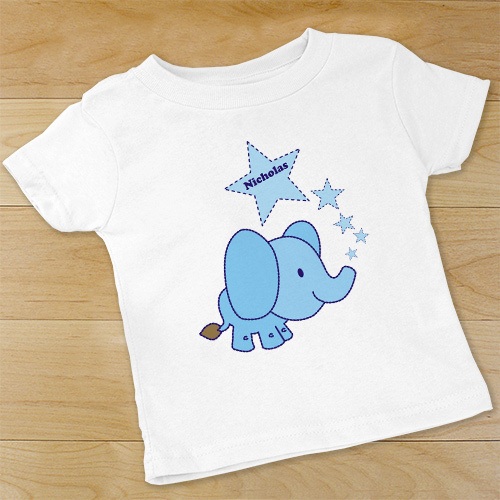 Our Personalized Elephant bodysuit is available on our premium 5oz, 100% white cotton Personalized Infant bodysuit with crew neck, double-needle hemmed sleeves and binding at the legs with three snap bottom. Machine washable in infant sizes NB-18 mos. Includes FREE Personalization! 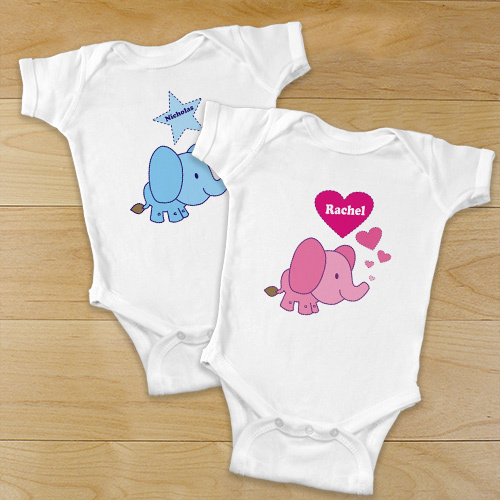 Personalize your Baby Elephant bodysuit with any name and gender ( ie. Rachel / Girl ). These bodysuits and their cute elephant designs make for unique baby shower gifts! GiftsForYouNow.com offers many Personalized Infant Creepers for your baby or to give as a Personalized Baby Gift. We have many designs to choose from. We have infant Creepers with Stars on them. We have Personalized Creepers with Trains on them. Each Creeper is Personalized with your child's name on it. Great to give for a Baby shower or a 1st Christmas Gift.